It’s a flat calm, save a gentle, glassy, swell rising and falling barely noticeably. The trip’s nearly made, the last string hauled, baited and stacked and as the bow swings round and the dhan pitched back over the side, revs increase and the gear shoots back in the indelible routine, that accompanies every outing. Pot after pot disappears over the gunwales, the familiarity of action being repeated metronomically, the spooling tows, uncoiling and flicking from around the deck. The weedy splash of each creel marking time to the tune of the diesel. Day after day, week after week, same old, same old. A momentary lapse, a forgotten knife, a misplaced boot, a slight slip and an untimely glance ashore and that last loop of increasingly disappearing tow has become a noose. An ugly opportunist grab and an unannounced attempt at ruination. But in that split second realisation that all’s not well, it’s already too late. A contorting limb, a shooting pain, a bump, crack, bounce and an incomprehensible, thought-crystallising, plunge into what moments before seemed the most innocuous of arenas. Fear, adrenalin,”fight or flight”, the sensations spiral uncontrollably, as hands and fingers grab and clutch feverishly at boots and oilskins in a melee of saltwater and bubbles. Grasping, gasping, the boot comes free. The noose pulls out, but the torment worsens as the seconds make. The cold, intense and stunning, takes its purchase on the senses, skin temperature plummets, heart rate and blood pressure surge, as uncontrollable hyperventilation sets in. Muscles and nerves cool, movement becomes sluggish, any natural buoyancy depleting rapidly and through blurred vision, any attempt at swimming diminishes, as the image of the still motoring vessel recedes. Fatigue intensifies, coordination falters and what at first were shouts are now whispers. Back on board, the shocking and stomach-sickening reality hits, that a crew member, moments before, joking and laughing, is suddenly no longer there and in awful peril. Or more chillingly, with a singlehanded vessel, no one remains on board, as the boat steams its own course, no alarm having been raised, no flare, no distress call. Just fear and confusion in its wake. 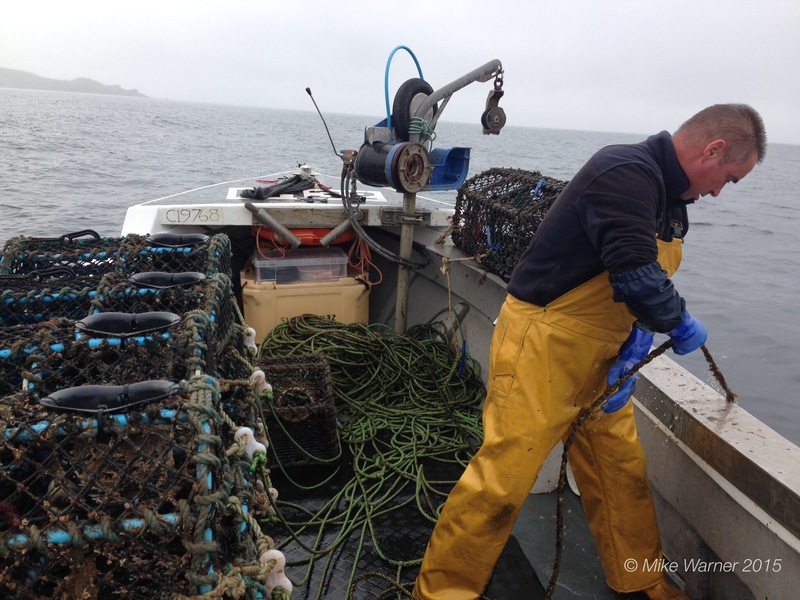 It’s the stuff of nightmares and it happens within the UK fishing industry. Regularly. 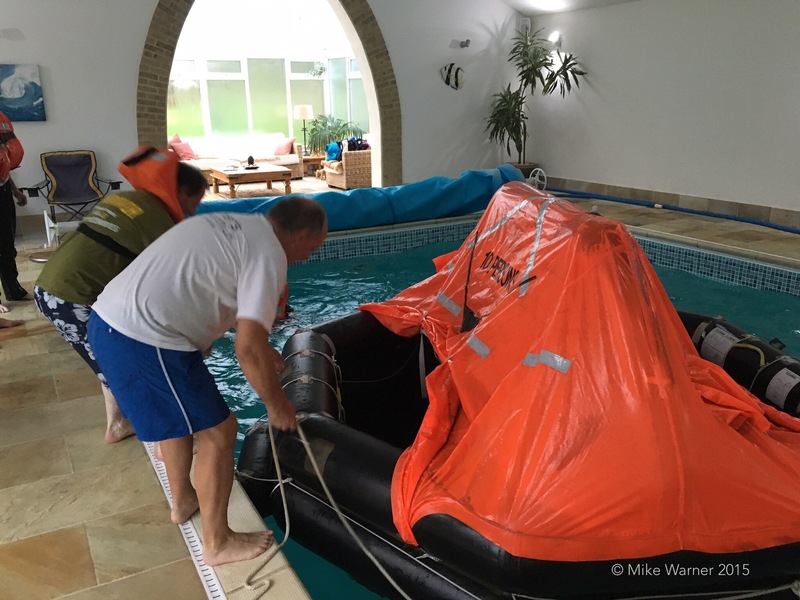 It was an invaluable message that was forcibly rammed home to me in the professionally and expertly delivered, Basic Sea Survival Training course, run by Seafish, that I recently attended. 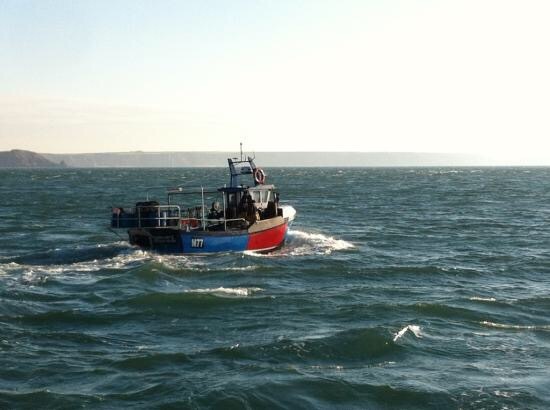 Having just acquired my own 8 metre vessel, I was keen to not only ensure my own safety at sea, but develop more of an insight into the dangers that fishermen face on a daily basis, of going overboard, in both large and small vessels, inshore and offshore. Expert advice and demonstration allowed me an insight into the incredibly high importance placed on correct procedure and practice when disaster strikes at sea. Bodies can be displaced from boats in a manner of differing circumstances, gear malfunctions, poor displacement and trim, unexpected and unforgiving lumps of water or just plain human error, all come with a potentially devastating price tag. The average UK sea temperature is roughly 12C and anyone, no matter what their level of fitness or swimming ability, are at risk from Cold Water Shock (CWS). Entering the water unexpectedly, produces an identifiable sequence, a chain reaction, of events that can be catastrophic if not managed correctly. Without a life jacket or Personal Flotation Device (PFD) chances of survival of this event are infinitely reduced. Although little can be done about the initial effects of CWS, its development into something far more sinister can be greatly mitigated via the wearing of a PFD and the awareness training that Seafish deliver in this respect is vital. The wearer is afforded the chance to employ the techniques described by their trainers in surviving a “man overboard” event. Of course nothing can guard against the potential cardiovascular dangers associated with the symptoms described above, but assisted buoyancy allows for a degree of calm and focus, moreover and vitally, allowing the wearer’s head to remain above water, making all the difference in a situation where survival is the only desired outcome. 12,000 fishermen operate within the UK industry and over the last 10 years there have been 3326 accidents recorded, which tragically resulted in the loss of 94 lives, a figure that Seafish, and it’s delivery partners the RNLI, the Fishermens Mission, National Federation of Fishermens Organisation (NFFO) and the Maritime & Coastguard Agency (MCA) would dearly love to see reduced. The training, I endorse entirely, having recently been party to it and reflecting on what I learned that day (in the classroom and the pool), from boat muster drills and correct life raft use procedure to personal life preservation and survival techniques, I wholeheartedly believe that the protocols involved, backed up with a thorough understanding of the dangers and risks to life and combined with an unabashed and self-disciplined wearing of the PFD will make a profound impact on those galling statistics. 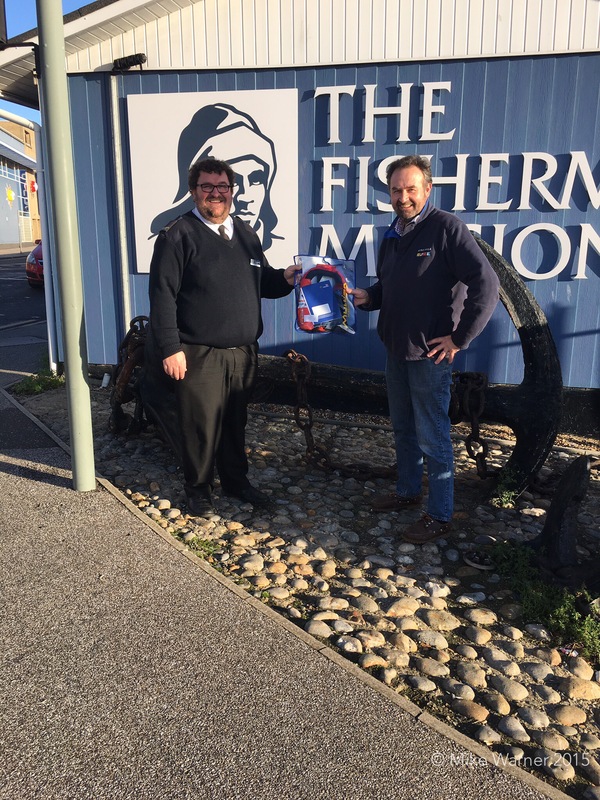 Having successfully completed the training, I was recently (and very proudly) presented with my own PFD by Lowestoft Fishermens Mission Superintendent Tim Jenkins. I ask him whether the PFD initiative and #SeaYouHomeSafe have been well received by the fishing community, and I’m not unduly surprised by his reply. I then hear the tragic tale of a local fishermen lost at sea in recent years, whose body was only recovered months later, ensuring much and protracted anguish and heartache for the family, desperate not only for knowledge of what happened, but for a due grieving process to be allowed. I question the reasoning behind the reluctance to wear a piece of personal safety equipment, that so very obviously preserves life, in one of the harshest work environments known to man. Tim is thoughtful and measured in his response. Simon Potten, Head of Training at Seafish, is eager to point out though, just how far they’ve come in the last 12 months. Although not a fisherman, I partially understand their arguments, but having worn a modern PFD and experienced just how totally unrestrictive they are, I cannot see why so many defy reason and leave them in the wheelhouse or worse still ashore. 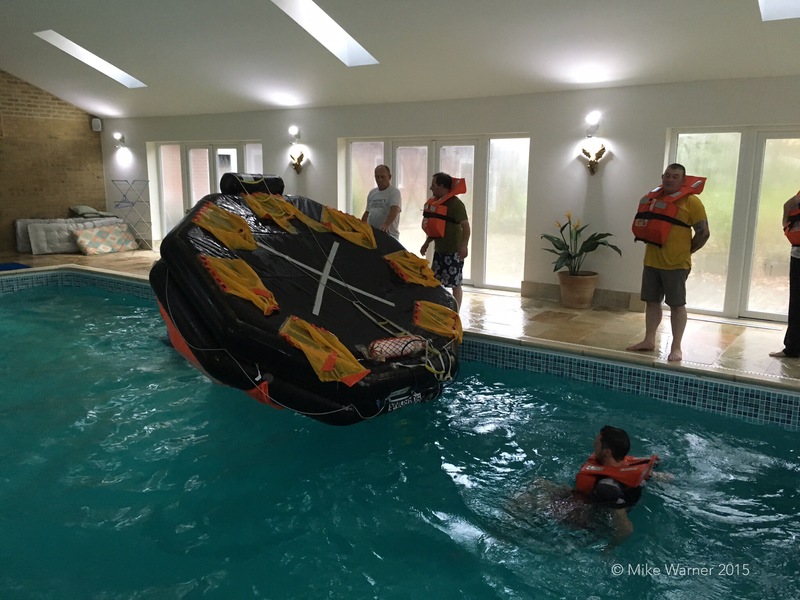 For their own and equally their families’ benefits, the use of personal survival equipment and training must surely be paramount, in an industry where terrible, immediate and unseen danger lurk round every corner and with every roll of the boat. The final words of endorsement and a stark reminder of the reality of operating within this industry, I’ll leave to Northern Irish fisherman Sam Cully, who owes his life to the fact that he wore an only-just-delivered PFD the day his boat capsized. 45 minutes in the water meant that artificial buoyancy ensured he fished again.